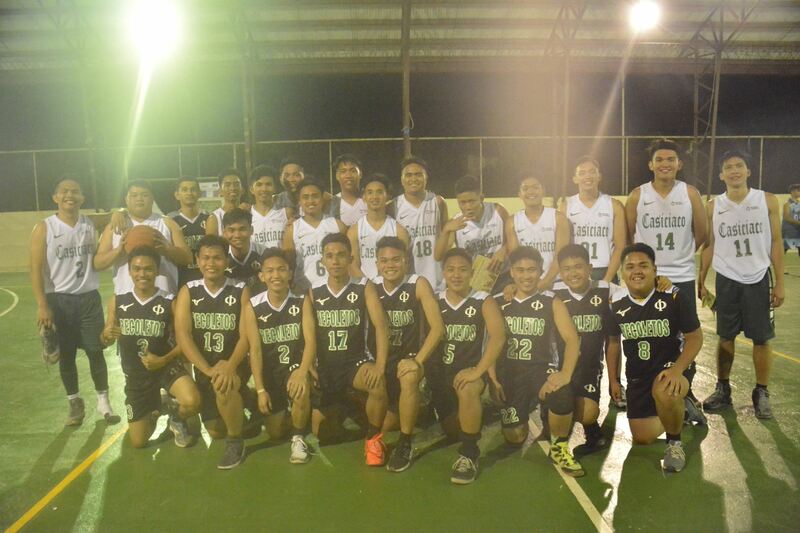 Baguio City — Seminarians of Casiciaco Recoletos Seminary escaped with wins in friendly matches with their diocesan counterparts during the opening of “Palarong Paulino” at San Pablo Seminary last Oct. 14, 2018. The Casiciaco Spikers dominate the host team in a hotly contested volleyball match in 5 sets, 19-25; 25-10; 25-16; 20-25; 15-7 which featured gorgeous sets, booming spikes and ace serves from both teams. The Mountain Lion basketball team of the Recoletos, in the second game, completed the sweep by coming back from a 19–5 deficit in the first quarter to eke out a 2-point win in overtime, 107–105, behind the 33 big points of Br. John Arnold Lozada who drained six 3-pointers. The Palarong Paulino in Crystal Cave marks the beginning of the diocesan seminary’s 4-day intramural games. Br. Gerard Louiez Mapalo, the general program coordinator of San Pablo Seminary, thanked the Recoletos for coming over and bonding with them. He said they reached out to the Recoletos since this year is Year of the Clergy and Consecrated Persons. “Iisa lang naman ang calling natin kaya mas maganda na mayroon tayong engagement,” he said. “Sa pamamagitan din ng gatherings na gaya nito, nare-realize natin na hindi tayo nag-iisa sa bokasyon na ito and we inspire one another,” he added. The games were competitive and hotly contested. In the basketball match, bodies were flying everywhere, fatigue and cramps set in, and yet everybody stuck to their identity and kept their cool. No untoward incident or unsportsmanlike foul was ever called. Br. Mapalo said the Recollect seminarians were “easy to get along with” and that they look forward to more friendly matches with them in the future. After the games, everybody shared a fraternal agape at the seminary refectory.